>> #CHAnge You Ready for it? Change is consistent. It's going to happen. It doesn't matter the season. Whether you're ready or not, change is going to come. Are you ready? What plans have you made? Be ready for your plans to be altered! The evolved entrepreneur has survived beyond start up and is well acquainted with change. To stay the course beyond start up, you and your business must strategize for change. Change is a part of the business evolution process. Change is a part of your personal development. Change really offers three perspectives: positive, negative, and neutral impact. Notice, the perspective is yours. You choose which way change truly impacts you. You can perceive change as an opportunity, a disability or no consequence to you. You choose the perspective on change, how are you managing it? Change management is a business term, but it should be a life term. We all face change. We all should manage the impact of change in our lives so we don't "fall apart" when we're faced with it. Change management, as a business term, is intended to direct how a company shifts their activities. I'll take the concept one step further. Change is a mindset. It's personal. You must want change before the change will truly happen. If you don't want the change, embrace the change, and become a change agent as a result of an experience, life will be very difficult. Let's get busy so you can embrace your inner change agent. ​The mind is a terrible thing to waste. If there are three perspectives on change, the path of least resistance is neutral impact. This means there is change happening. You're aware of the change but no action is needed at this time from you or your business. One example is you learn about something in the news, but it's not impacting to you personally or your business. Another neutral impact change could be a new app being developed but it won't drive traffic to your website. You could make the news or the app development an "issue" for yourself. I know plenty of people that seem to take responsibility for all kinds of things that aren't really issues for them at all. In fact, they work themselves into a tizzy over silly things that are someone else's responsibility all together. Take control of your emotional boundaries. Remember where your power of persuasion and responsibility lie and where it doesn't. An evolved entrepreneur has set goals and pushed forward even through all the marketplace change noise. A mindset secret is to keep your eyes open for opportunity to improve and not be distracted. Focused, goal oriented passion is key here. Remember why you want to create this change. The same change principles apply for personal development. How do you know a change is negative? What makes a change negative? Change can be painful. Change can result in a loss. Change can also aggravate. The secret is your perception of what to do with the pain, loss or aggravation. You can learn from it! 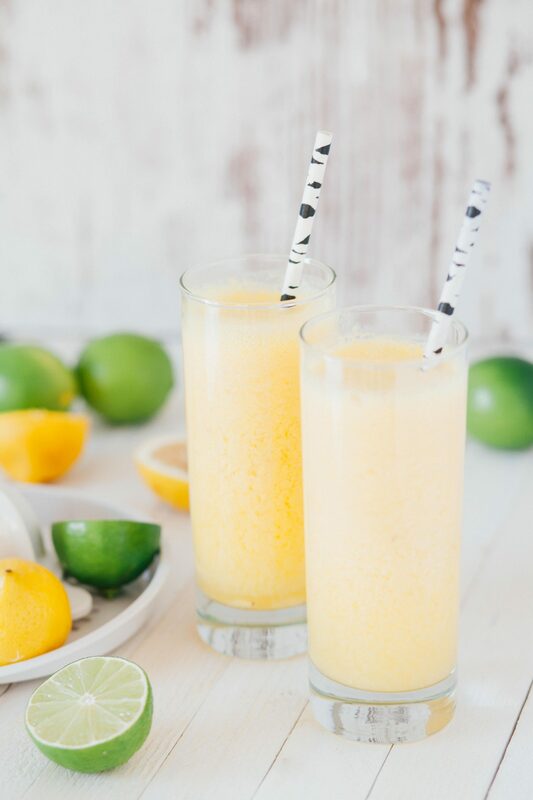 Evolved entrepreneurs have learned how to make lemonade from lemons. We constantly look for a way to move business forward, improve processes as we go, and meet the needs in the market. Having made it through the startup phase, our businesses have put processes in place. We work out the kinks, streamline actions for speed and consistency. Keep a sense of urgency to resolve negative impacts along the way. Clear communication and short term action steps keep you moving forward. Ask what you can learn and apply that knowledge. This way you and your business will be on your way to creating something positive. Positive impact change is where the power is. 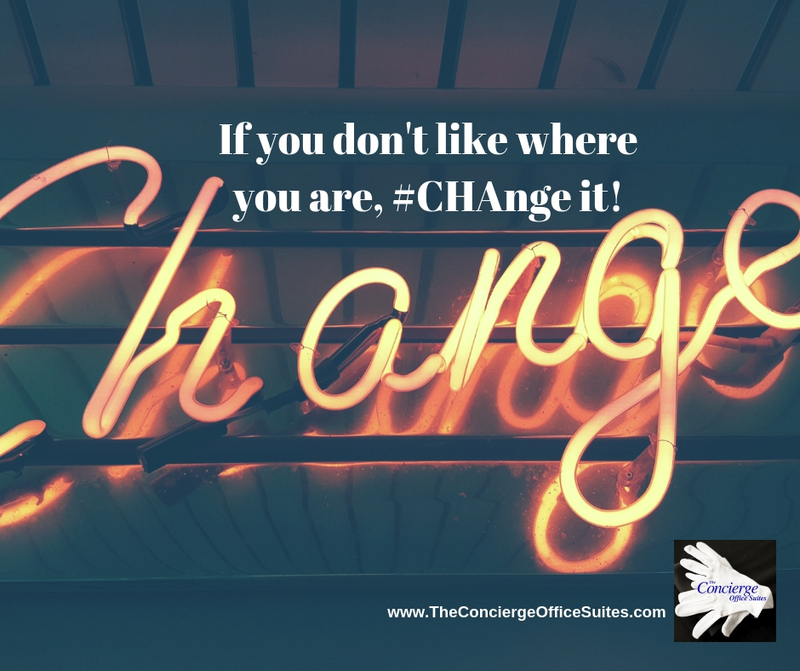 If you don't like where you are #CHAnge it! This is the greatest superpower to have, the power to change. If you want to stay relevant in the workforce and in business, embrace the opportunity to change. With the onset of almost daily technology advances, you'll want to be an avid reader of digital news sources and industry periodicals. You'll also want to be part of associations that are tracking changes in your industry. It would also help to scout your competition beyond what you experience online. Try the product or service to benchmark what you're doing. What are some key issues that you want to change to set yourself apart? A business advocate, like a business concierge, aware of your desires can make a positive impact. Communicating your goals is important, especially when you are in the throes of change. The Concierge Office Suites has lots of community connections and our business concierge support team are constantly looking for our client's perfect connection as we talk with people. The more you share what you're doing the better we can support you as one of our clients. We encourage all our clients to keep their business cards at our front desk. We want to give your business card to people that visit the office and base this referral only on your expressed goal or need. We even take notes in our client contact information to make sure we're on point. If you are ready to step up your game as an evolved entrepreneur, you'll want to form a personal board of accountability. A personal board of accountability is a hand picked group of people that mutually work to help you keep your eyes on your goals. You'll want to hand pick connections that compliment your weaknesses. A perfect fit for your personal board of accountability may have more experience than you in a particular field. You'll also want them to hold you accountable to your stated goals. Set a regularly scheduled meeting with this group of advocates. The meeting could be a phone call, video conference, Facebook group, or Skype call. Whatever form of follow up works for you and your board. The whole idea is to state your goal, share it with someone for insights and keep the positive change moving forward. Positive change can create new opportunities. It can encourage innovation. There might even be an increase in efficiency. If everyone keeps their eyes on the end result of change, it's more likely to be a positive outcome. Explain the "why" for the change, especially if your family or business team should be on board for the idea or process. Communicating the "why" will help everyone understand where you're going with this shift from the past or status quo. Remember you choose which perspective of change you want to engage neutral, negative or positive.